If you have ever gone to any of the popular stock photo sites or even Flickr you have been confronted with legal agreements related to the copyrights on images that I am willing to bet very few people understand. Bloggers and most likely photographers and graphic artists new to sharing their work are not experts on copyrights or the law, but these sites are filled with so much industry jargon most have little chance of knowing for sure they are doing what is legal. These sites really need to explain copyright in a much simpler manner so that anyone can understand which uses are permitted. they mean little to nothing to the average person. Standard restrictions apply and APatterson must be notified when using the photo for any public work. Fair enough, but notified HOW? If you are going to say you want notified couldn’t you tell people HOW to notify you? Do you want an email message or is a trackback from a blog post enough? Graphic artists and photographers should understand that we need to know whether they are asking to be notified BEFORE an image is published (which would be more accurately described as permission) or you just want to be sent a link or sample after the fact. CC licenses have a sophisticated and flexible attribution requirement, so there is not necessarily one correct way to provide attribution. The proper method for giving credit will depend on the medium and means you are using, and may be implemented in any reasonable manner, although in the case of an adaptation or collection the credit needs to be as prominent as credits for other contributors. The CC website offers some best practices to help you attribute works, and the CC Australia team has developed a helpful guide to attributing works in different formats. Reasonable to whom and who gets to decide? Most sites today probably use the Creative Commons licenses and anyone CAN find descriptions of them, but UNDERSTANDING what they mean is a another thing altogether. Free for non-commercial use is the area with the most gray for the majority of bloggers because many of them earn a tiny amount of money from their blog – or may earn nothing but have a single affiliate link that COULD be considered commercial use. The first makes it sound like most blogs ARE commercial because they might “earn users money” while the second sounds more like the IMAGE is making money rather than the blog. If a blog has 125×125 ad blocks but they have never sold any and only use them to display the blogs of friends – but one time one of those other blogs is promoting an affiliate product does that mean this blog is commercial now? What if a blog does not make money and is not monetized, but the blog links to a company Website for the same owner? Is THAT commercial use? The blog where the images appear could be on a different domain and not intended to make money. If the blog you use the image in has a business on the same domain – or an entirely different domain – and you sometimes link to it bloggers would likely consider that NOT commercial but there is no telling what the law would think. There are different kinds of photographers and graphic arts people using the same copyright terms who have totally different goals. Some pros may be adamantly opposed to their work EVER being used without payment while another may be thrilled to have their work featured – with attribution and hopefully a link and maybe even a recommendation. 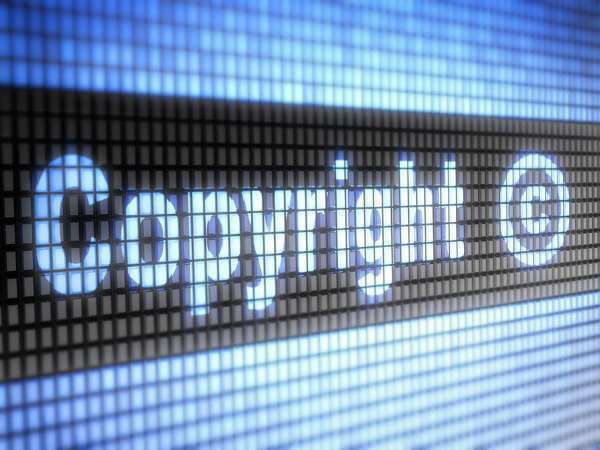 The free sharing of information on sites like YouTube and Flickr has hit head on the traditional business model of copyright ownership and having to pay to use everything from images to written copy to videos. YouTube is full of full length movies, excerpts of TV shows and the nightly news. What does it mean that these sites allow their content to stay online? It MIGHT be construed to indicate they aren’t protecting their copyrights in the same way businesses are told they must protect their trademarks or their protection is weakened. by many against the desire to control and sell your creatives for profit. Even among bloggers there is no consensus. There is likely even less agreement between image copyright holders and those who wish to feature their images. It is likely to be a long time before case law catches up with common practices – and even then laws are one thing and enforcement much more challenging. should everyone have to pay for anything they ever use? Tell us in the comments. We want to hear from you! Need to know for sure what is legal and what is not? Check out the listings in these categories.